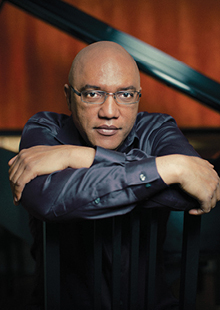 To say that jazz titan Billy Childs is wildly talented would be a grave understatement. Childs began studying piano in early childhood; by age six he was performing publicly and by 16 attending Colburn conservatory. He has since gone on to win a Guggenheim Fellowship, a Doris Duke Performing Artist Award, and five Grammy awards — two for composition, two for arrangement, and one for his 2018 album Rebirth. Celebrated as one of the most diversely prolific and inventive pianists, composers, and arrangers at work today, this polymath has collaborated with an honor roll of artists, including Wynton Marsalis, Wayne Shorter, Sting, Chick Corea, Kronos Quartet, Yo-Yo Ma, and Renée Fleming. Childs comes to Santa Fe ably supported by his “combustible” (Downbeat) quartet for an evening of “ultra-sophisticated, gracefully crafted jazz” (The Guardian).